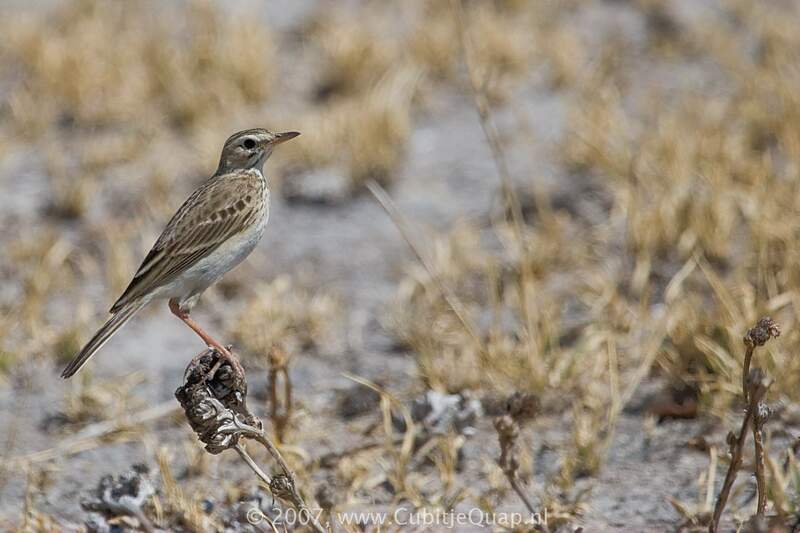 Difficult to distinguish from the plain-backed pipit but the markings are often faint, with a rich, buffy belly and flanks. The base of the bill is pink (not yellow). On the ground it stops often, generally remaining horizontal, but does occasionally stand bold upright. 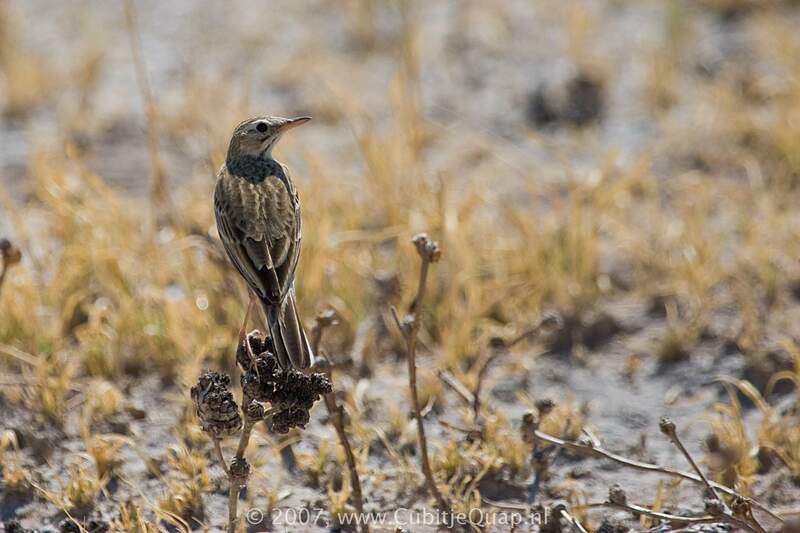 Moves its tail up and down, wagtail-like, more frequently than other pipits. Juvenile resembles adult but is mottled above. Hillsides covered with short grass. A repeated, two-noted song, 'tchreep-churup'. When flushed, it gives a short 'sshik'.